Karan Johar's Ae Dil Hai Mushkil has released and all the controversy surrounding it has died down. The reviews are out and they're mostly good. Box office collections, however, aren't as encouraging. While we wait and see the final BO ratings of this Ranbir Kapoor-Anushka Sharma-Aishwarya Rai Bachchan starrer, here's a look at successful romances in the past. The biggest romantic musical continues to be Yeh Jawaani Hai Deewani, three years after it released. Ranbir Kapoor and Deepika Padukone had something special together and their chemistry was bang on. It's been more than a year since the release of Tanu Weds Manu Returns and ever since, audiences have been waiting for a romantic entertainer. With Kangana Ranaut in a double role and R Madhavan reprising his Manu act, this Aanand L Rai film seamlessly integrated drama with comedy in a romantic musical set-up. Shah Rukh Khan is the king of romance. No wonder, Yash Chopra's last film Jab Tak Hai Jaan had Khan stepping into his lover boy role again, albeit with a difference. With Katrina Kaif and Anushka Sharma as his love interests, SRK played a simpleton, who becomes an army man. The film wasn't among the finest to Yash Chopra or Shah Rukh's credit but it still worked. Like Yeh Jawaani Hai Deewani, Deepika Padukone's romantic rendezvous with Ranveer Singh also struck a chord with the audience with Goliyon Ki Rasleela Ram-Leela and it fared well at the box office. 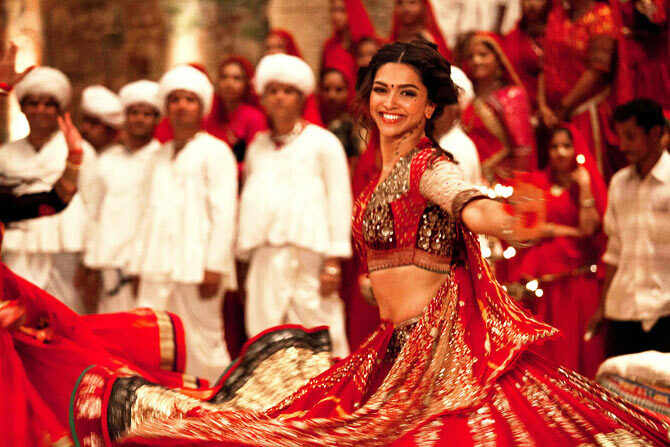 While action formed some part of this tragic entertainer, director Sanjay Leela Bhansali ensured that the mood of the narrative remained a mix of romance and music. 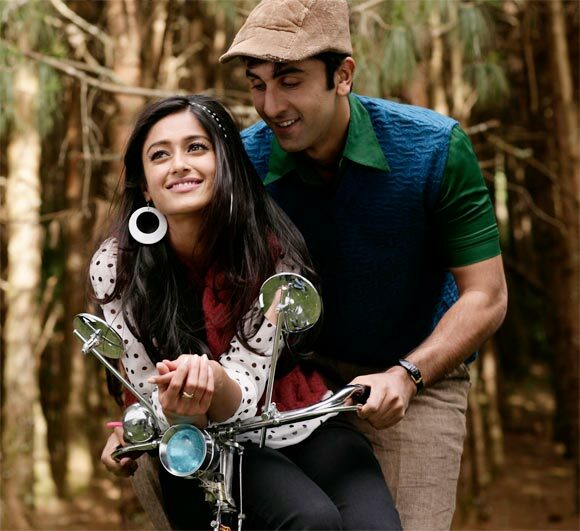 Barfi! featured Ranbir Kapoor in an never-seen-before avatar. He was the soul of the film and had beautiful company in Priyanka Chopra and Ileana D'Souza. With Anurag Basu at the helm of the film and soulful music by Pritam, Barfi! turned out to be a surprisingly big success at the ticket windows. A modern day romance, 2 States -- starring Arjun Kapoor and Alia Bhatt -- found acceptance from the audience. Based on Chetan Bhagat's novel of the same name, this North-South love story had a good box office run. While Karan Johar and Sajid Nadiadwala made sure the film was pitched well, 2 States also had good music that worked wonders for it. It has been eight years since Rab Ne Bana Di Jodi hit the screens and while one keenly awaits Aditya Chopra's next musical romantic offering Befikre, the sweet tale of Suri and Taani is still fondly remembered. 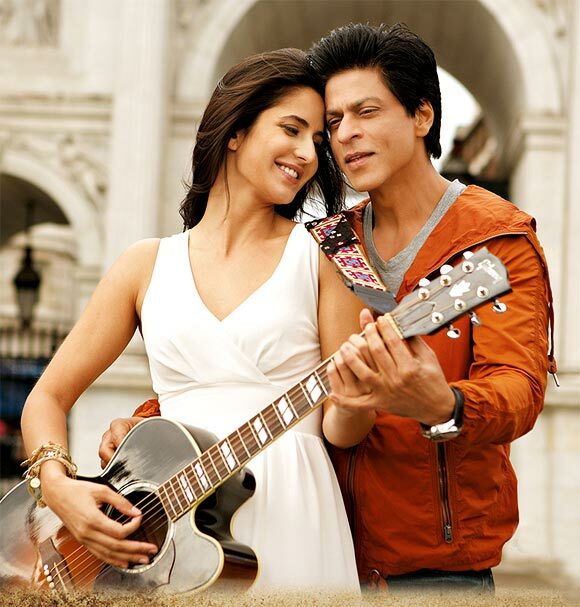 The film took a relatively slow start for a Shah Rukh Khan starrer but went on to find its bearings at the box office. The film also saw the debut of a confident young actress, Anushka Sharma. Humpty Sharma Ki Dulhaniya was a romantic tale had good dose of humor and lots of romance between Varun Dhawan and Alia Bhatt. It fared so well that the film now has a sequel called Badrinath Ki Dulhania, with the same lead couple. When it comes to music, Aashiqui 2 is the biggest the musical blockbuster of recent times. In fact, that really did the trick for Mohit Suri's directorial venture. Aditya Roy Kapur and Shraddha Kapoor shared a good chemistry as well. Now, here's looking forward to the third installment of the series. Cocktail boasts of one of the best musical scores in Bollywood. Pritam's music pretty much justified the film's title since the songs were like a cocktail. Saif Ali Khan, Deepika and Diana Penty kept audiences entertained in the love triangle.